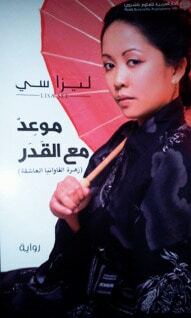 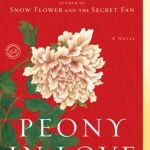 Peony’s mother is against her daughter’s attending the production: “Unmarried girls should not be seen in public.” But Peony’s father assures his wife that proprieties will be maintained, and that the women will watch the opera from behind a screen. 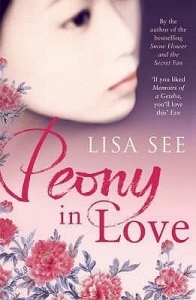 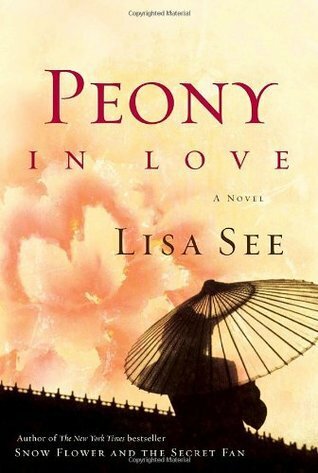 Yet through its cracks, Peony catches sight of an elegant, handsome man with hair as black as a cave–and is immediately overcome with emotion.So begins Peony’s unforgettable journey of love and destiny, desire and sorrow–as Lisa See’s haunting new novel, based on actual historical events, takes readers back to seventeenth-century China, after the Manchus seize power and the Ming dynasty is crushed.Steeped in traditions and ritual, this story brings to life another time and place–even the intricate realm of the afterworld, with its protocols, pathways, and stages of existence, a vividly imagined place where one’s soul is divided into three, ancestors offer guidance, misdeeds are punished, and hungry ghosts wander the earth. 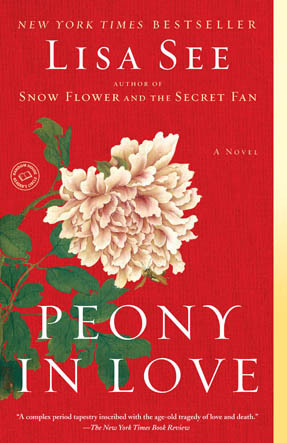 Immersed in the richness and magic of the Chinese vision of the afterlife, transcending even death, Peony in Love explores, beautifully, the many manifestations of love. Ultimately, Lisa See’s new novel addresses universal themes: the bonds of friendship, the power of words, and the age-old desire of women to be heard.